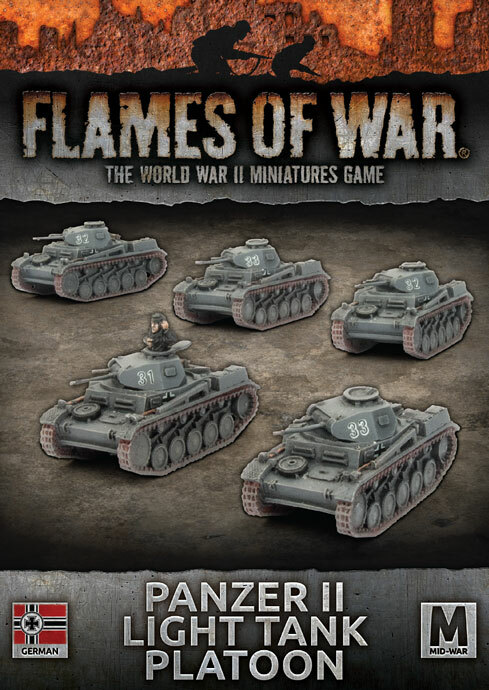 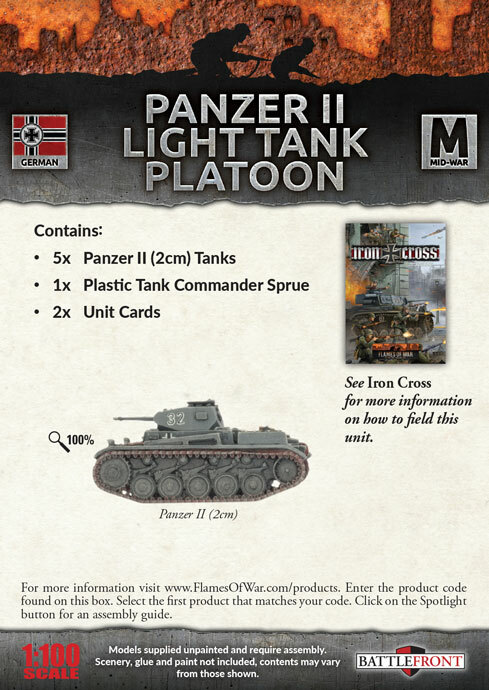 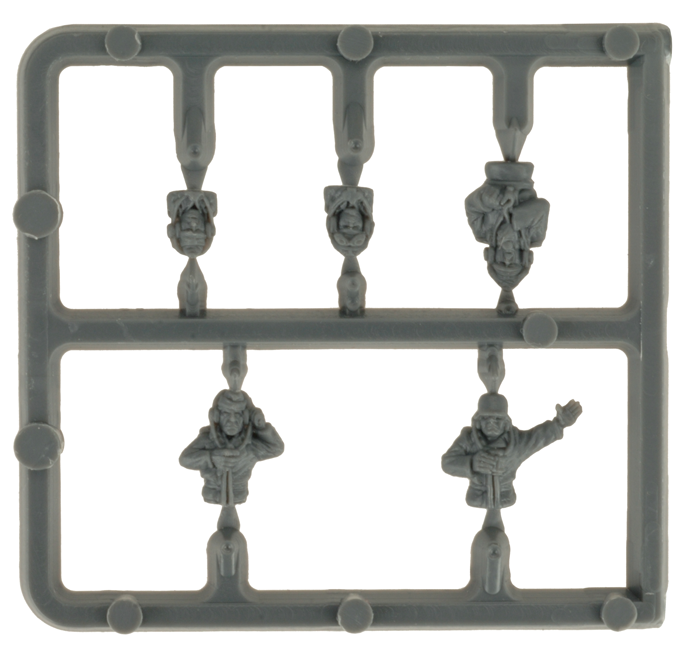 includes five resin and metal Panzer II Tanks, one plastic Commander sprue and one Unit card. 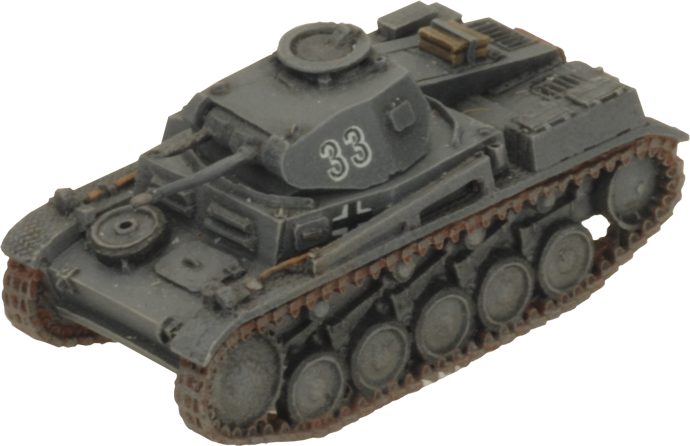 The Panzer II was intended to be a training tank but, with the outbreak of war, it was pressed into service in the invasions of France and Poland. 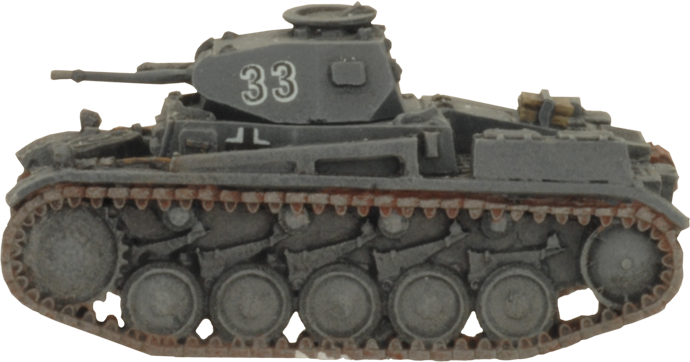 With a three-man crew—driver, commander, and radio operator— the Panzer II was the most numerous tank in the German army back during its Early-War heydey. 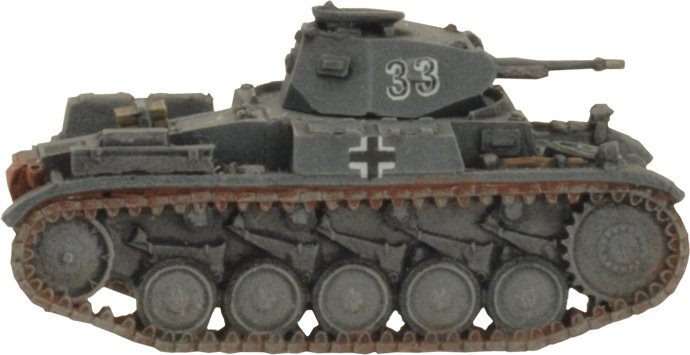 Even then, the Panzer II only got its chance for the fact that a sufficient number of Panzers III & IV had not yet been produced. 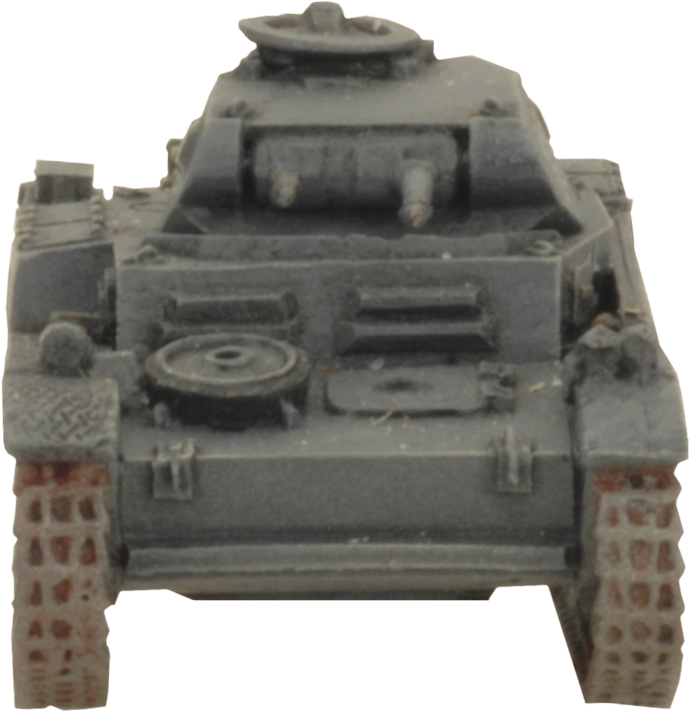 Now, on the battlefields of the Eastern Front, the Panzer II takes the role of scouting and screening. 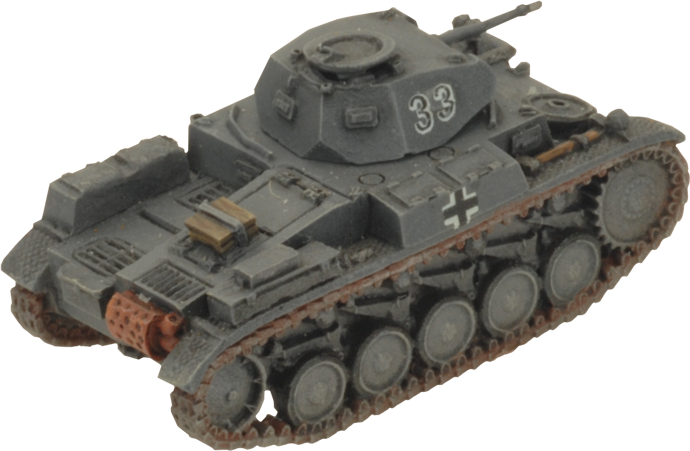 The Panzer II can be sent ahead of the main tank company to ward off light flanking attacks, and to root out any hidden tank-killers or infantry. 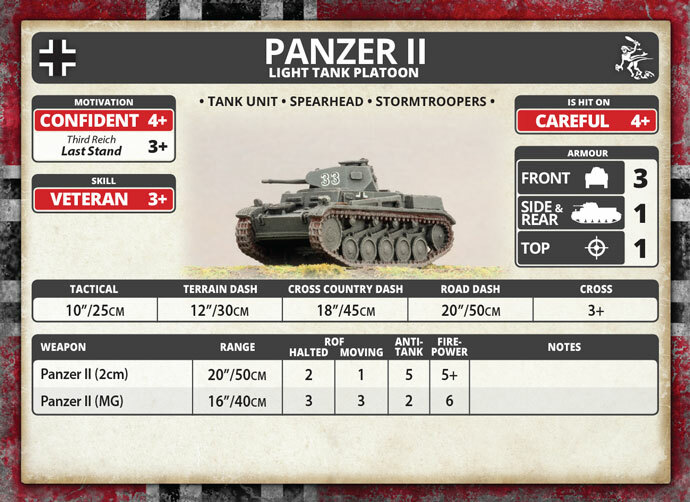 Utilising the Spearhead rule, the Panzer II can extend your deployment zone and allow you to bring your forces forward to a better position right from the deployment phase. 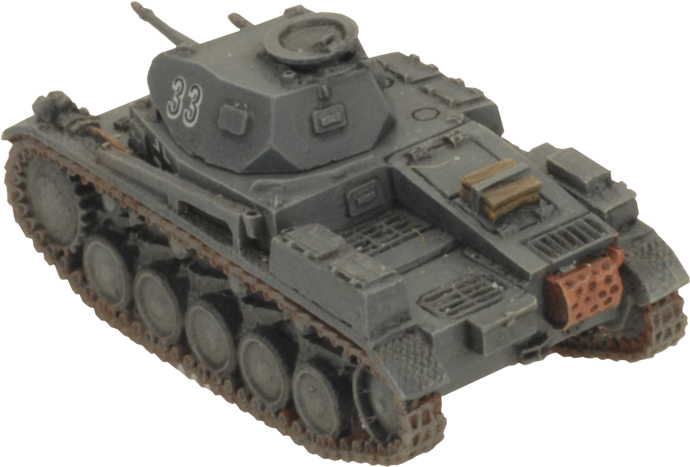 The Panzer II had a crew of three men. 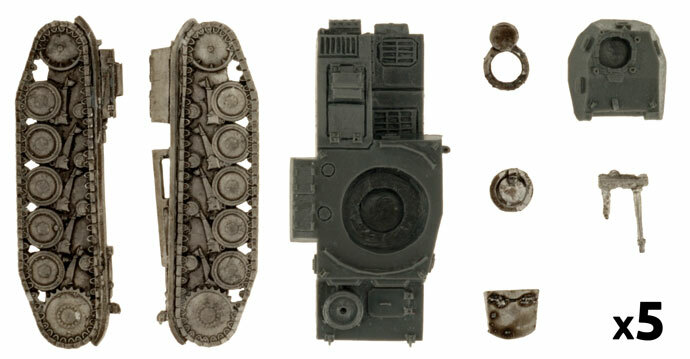 The driver sat in the forward left hull with the gearbox on the right. 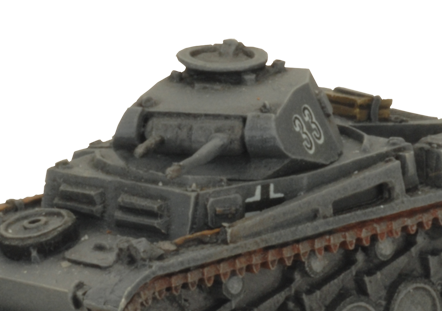 The commander sat in a seat in the turret, and was responsible for aiming and firing the cannon and co-axial machine gun, while a loader/radio operator sat on the floor of the tank behind the driver. 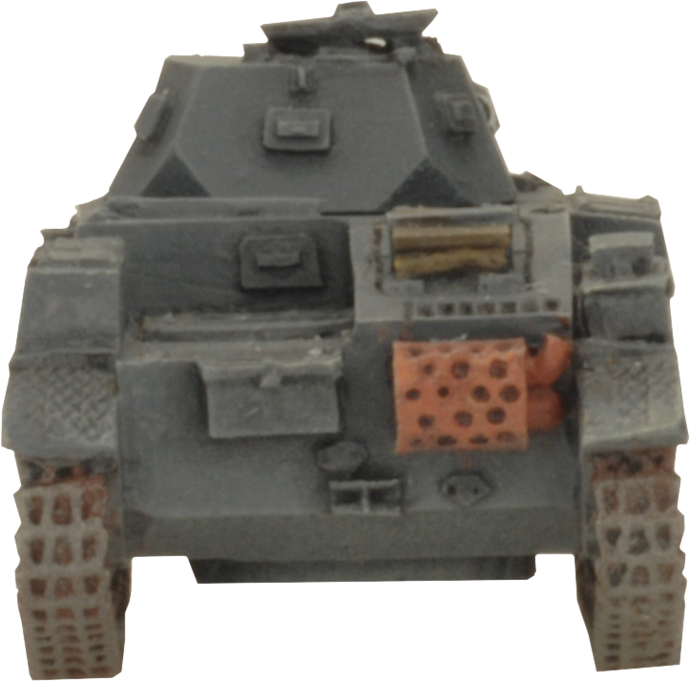 He had a radio on the left and several 20mm ammunition storage bins. 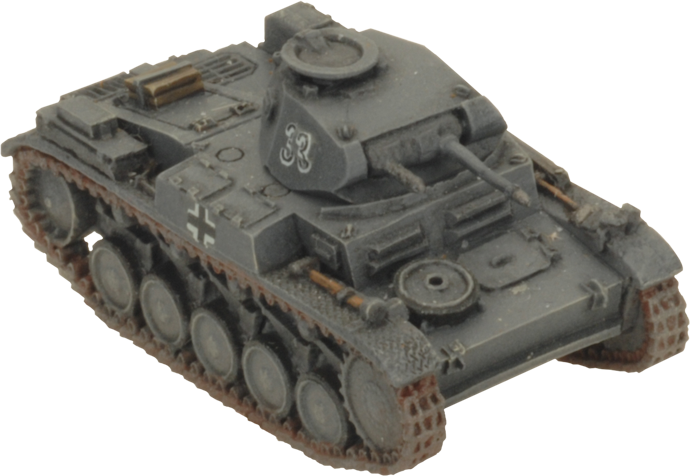 Production of the tank itself ceased by 1943, but its chassis remained in use as the basis of several other armored vehicles, chiefly self-propelled artillery and tank destroyers such as the Wespe and Marder II.